In the recent national controversial debates with regards to the planned expansion of London Aiports (Heathrow and Gatwick) and the effects it will have on our environment, another solution may have been found. Green Peace MP, Caroline Lucas has, for some time, been backing an idea of replacing APD (Air Passenger Duty, which is basically the bulk of the tax we all pay when we fly) with FFL (Frequent Flyer Levy). The idea behind this scheme is that the people who fly the most will pay more tax than those who take an annual holiday. 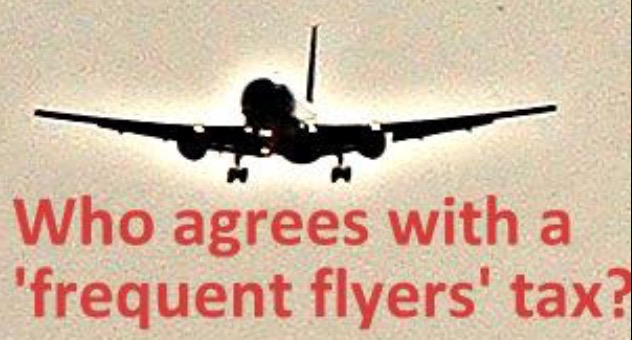 It is thought the most frequent flyers are just 15% of the population but they take a whopping 70% of the flights and approximately 90% of these are short haul, so Green Peace hope that by implementing a scheme resulting in frequent travellers having to pay more tax to fly (increasing with each outbound flight per annum) will ease the strain on airports as people will begin to use trains and other modes of transport. It will also be better for the economy and residents near the airports. The good news if you only fly once a year as a family holiday… you may not have to pay any tax at all resulting in very cheap flights!